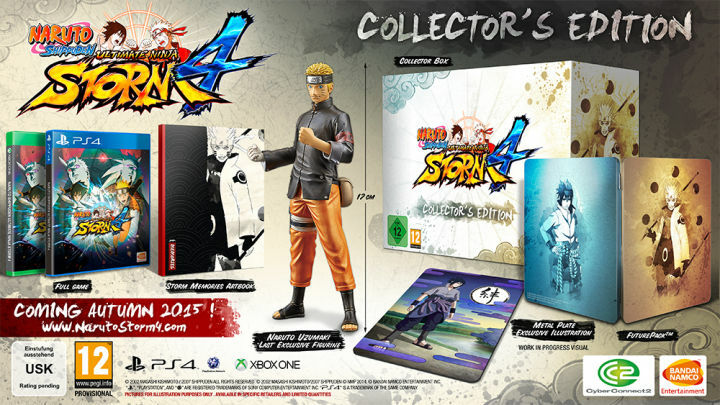 Naruto Ultimate Ninja Storm 4 Collector’s Edition & Tales of Zestiria Collector’s Edition Pictures. I have almost completely weaned myself off of Collector’s Editions but I need this one in my life. I had 0.001% hope that it might come with some kind of Obito statue or figurine but alas people don’t like the best characters so that didn’t happen. Naruto is better than Sasuke though so still happy to take it. I’m confused by The Last outfit choice. I have been staying away from information about the game so maybe it runs into that time period? Tales of Zestiria collectors looks nice too. I can’t justify it as I have a million Tales of games in my backlog. Well, maybe not a million but I have Vesperia, Abyss, Symphonia 1&2, Graces and Xillia 1&2. Vesperia is the one that I really need to get back into. I have no idea why I stopped. Backlogs are terrifying. Don’t get one.